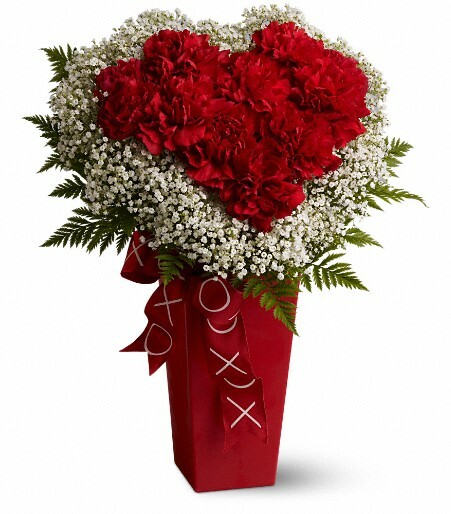 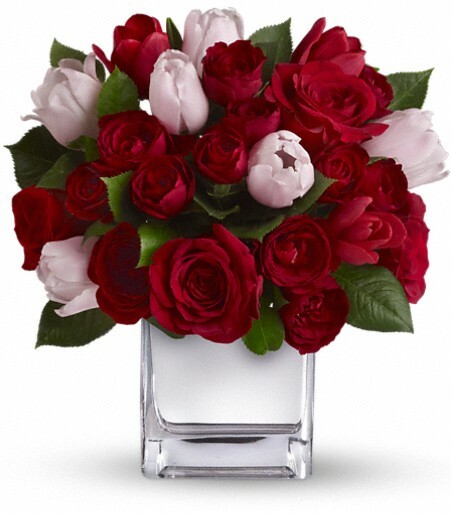 If you’re in the market for a beautiful bargain, this fabulous floral gift is for you. 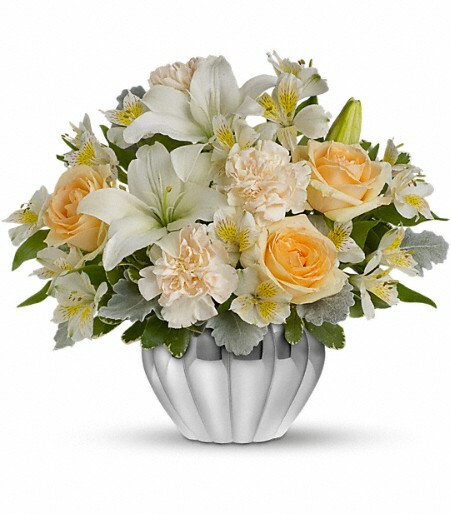 It features lush peach roses, white lilies and other favorites in a gleaming silver Jardiniere vase. 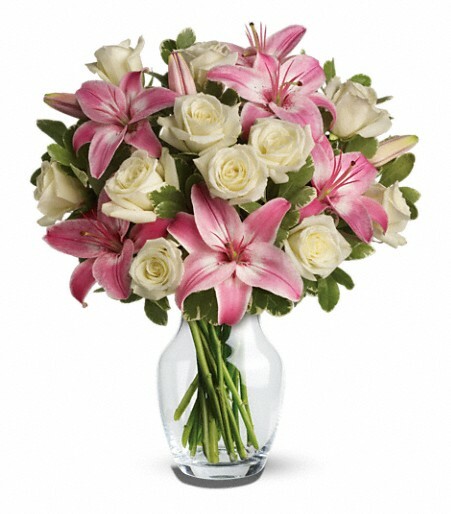 So gorgeous, so reasonable, so easy to send.